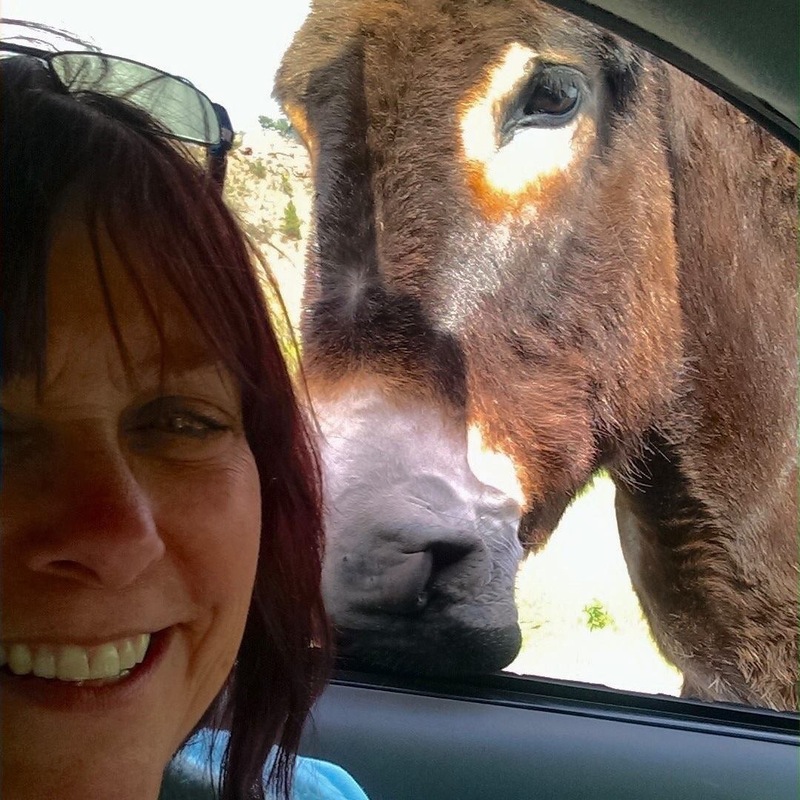 A Bunch of Fun Meet Ups in the Black Hills! 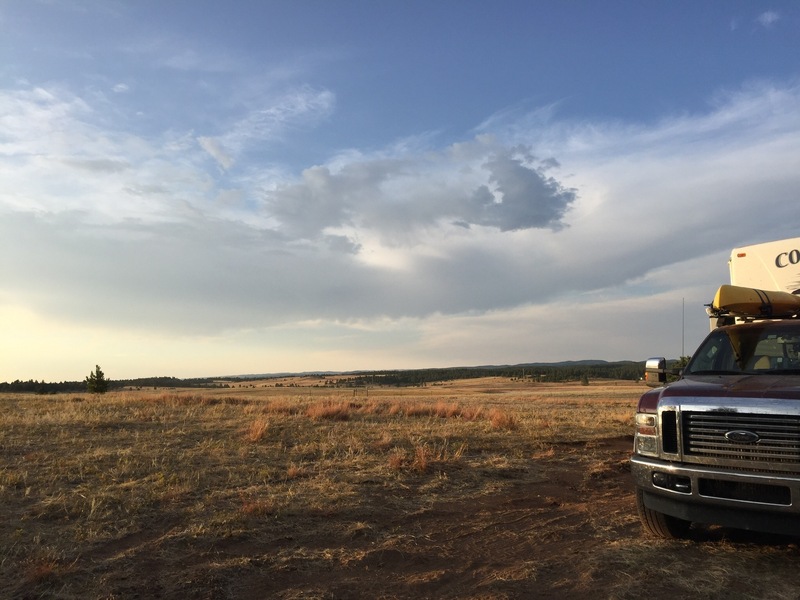 A few posts back, during our wrap-up of our time in Oregon, we received an offer from Jim and Barb to stay on their property in South Dakota. 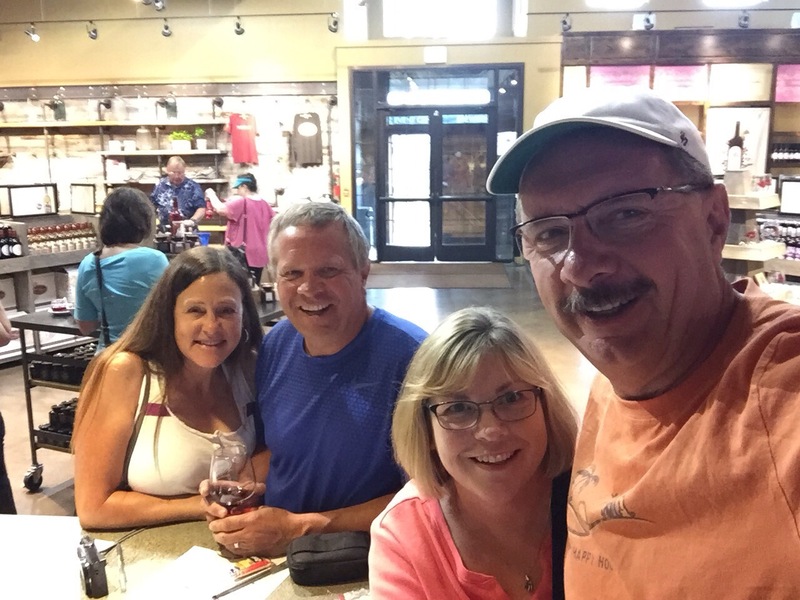 We had been following their blog, Jim and Barb’s RV Adventure, since 2014….yet we hadn’t met in person. Our original plan was to take our time and visit several Lewis and Clark stops on our way through Idaho and Montana, but the smoke in those states put a damper on that. We were scheduled to meet a friend on her day off in Bismarck, North Dakota on September 16, so a detour to South Dakota would add 300 miles to the trip. We had the time, our home has wheels, and we really wanted to meet them! We found our way towards their place and up to the back of the property, to a site that Jim had just leveled out for us with a skid steer. Sweet! How’s that for a view? To top it off, Jim and Barb made us a delicious dinner of Pasha Lake walleye. Very tasty! We then watched the Minnesota Vikings beat the New Orleans Saints…which was OK with me, as my Lions had won earlier in the day. The Vikings and Lions are in the same division. The next day, we walked their property and checked out some of the trail cameras they had placed. They revealed that there is plenty of wildlife that make their way through the land! 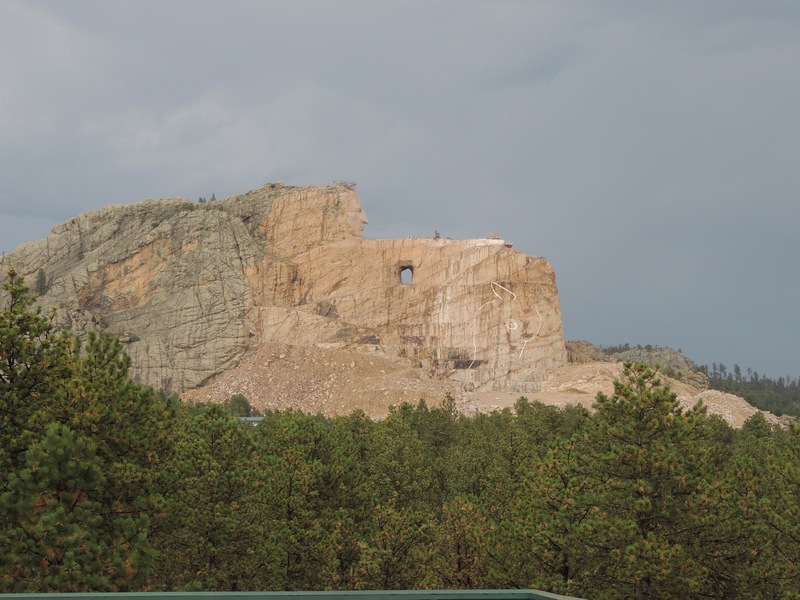 We then went for a drive with them and saw the Crazy Horse Memorial. This is definitely a work in progress. It’s hard to imagine how huge this carving is, until you zoom in on the top of the warrior’s arm. Those are two huge backhoes up there! 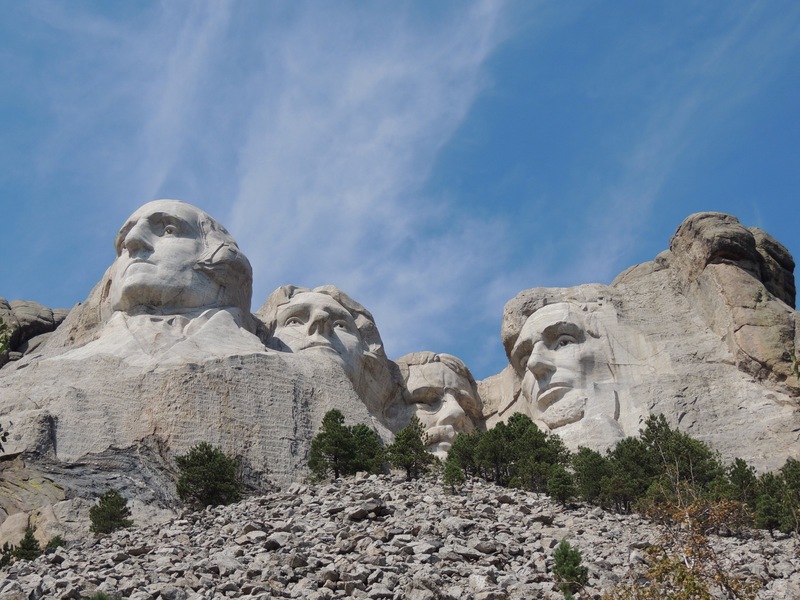 There is a lot of controversy surrounding this monument and Mount Rushmore, as the Oglala Sioux consider this sacred ground. 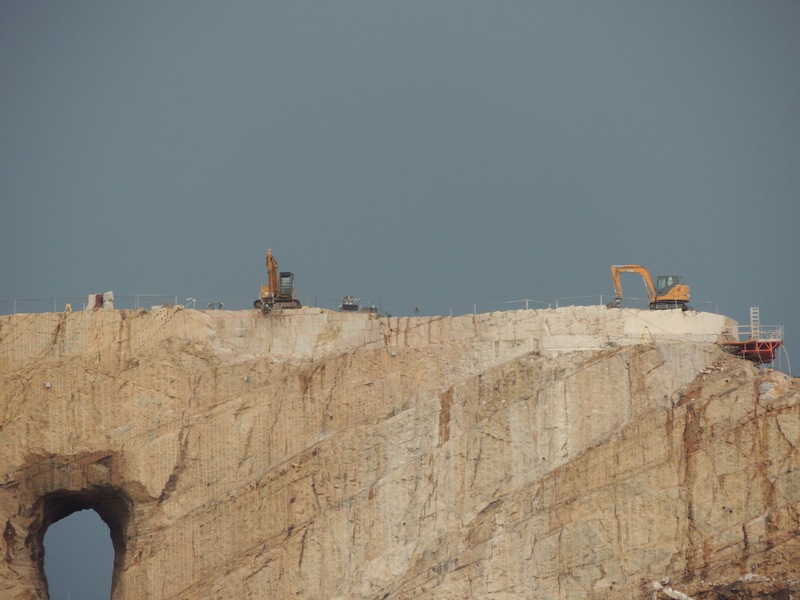 Since this mountain is being carved, it would be nice to see it finished. The Native American museum at the site is very well done. Tribes from all over the country are represented. The next day, Diana and I met up with her cousin Nancy and husband David. You may remember them from our trips to Big Bend and also to Napa Valley. They were on their way from visiting David’s South Dakota relatives and heading out to see their niece and family in Colorado. Getting to see them was another bonus to being in the area. 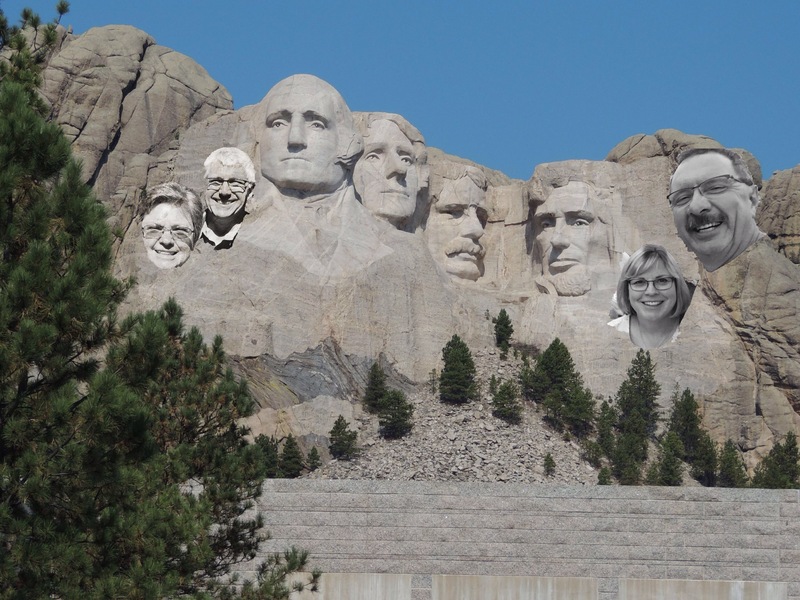 We toured Mount Rushmore this time! You can clearly see they’ve been busy adding additional figures…by George! On our way out of town the next day, we stopped by the Mt. Rushmore KOA and saw our friend Kathy, who we met at Amazon last fall. 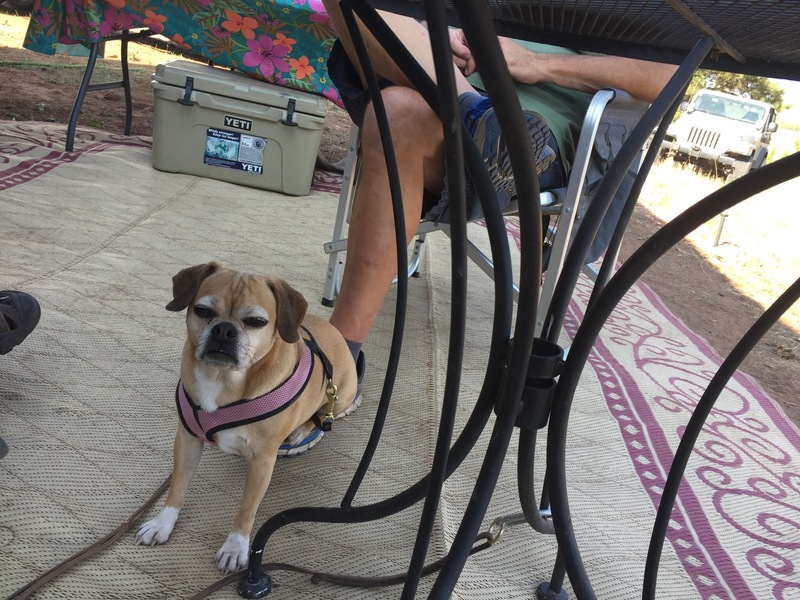 She’s been working at the campground all summer and has really enjoyed it. So as far as detours go, this was an excellent side trip! We really appreciated Jim and Barb’s generous offer and we had a marvelous time with them! It will be great to meet up again down the road, that’s for sure! Up next, we move up to North Dakota. More time with friends and some great Lewis and Clark discoveries! Be sure to stay tuned! Click here for Black Hills items and everything else under the sun on our exploRVistas Amazon link!